I am blessed to be able to travel all over the country on business trips with my husband. Yesterday, however, was truly amazing. 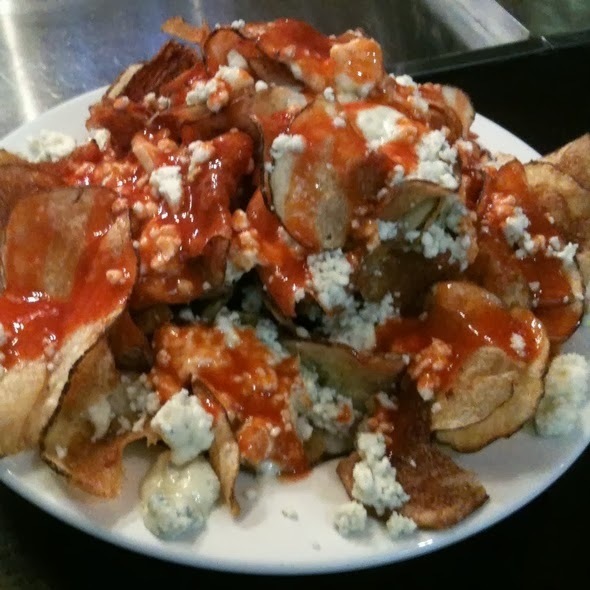 Starting from Brea, California, we traveled to Midway Airport in Chicago and had lunch at Harry Carey's. A unique gourmet experience was savoring their homemade potato chips served with blue cheese and buffalo sauce. I could not stop eating these! 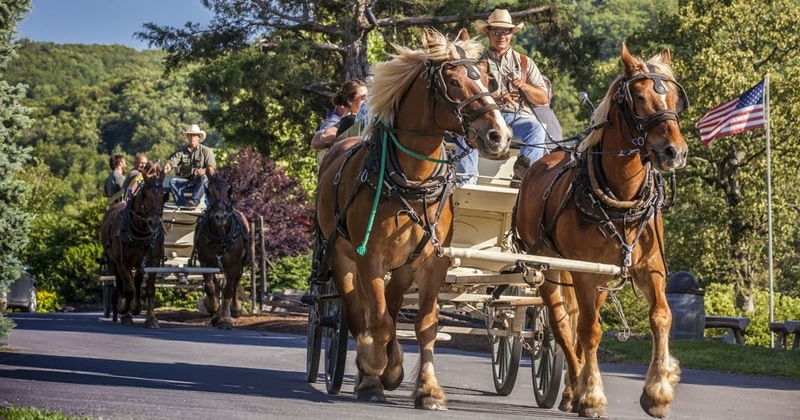 Next, we flew into Branson, Missouri barely in time to freshen up, then board a horse drawn wagon which carried us to the chuckwagon cookout next to the lake. I'm telling you what, I have a new respect for what the pioneers suffered riding over those bumpy roads! 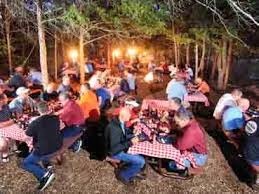 The cookout was delicious - grilled steak, slaw, baked beans, cheese bisquits, corn on the cob and blueberry cobbler with ice-cream for dessert. Sitting out under the stars was a real treat. Visiting with my husband's clients from all over the east coast was fascinating. 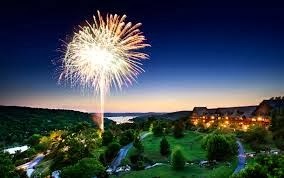 To top off the evening (and a very long day) the Big Cedar Lodge did a fireworks display. A perfect ending to a fun travel day. Tonight - the formal dinner. Tomorrow night - the riverboat dinner cruise. Who knows? 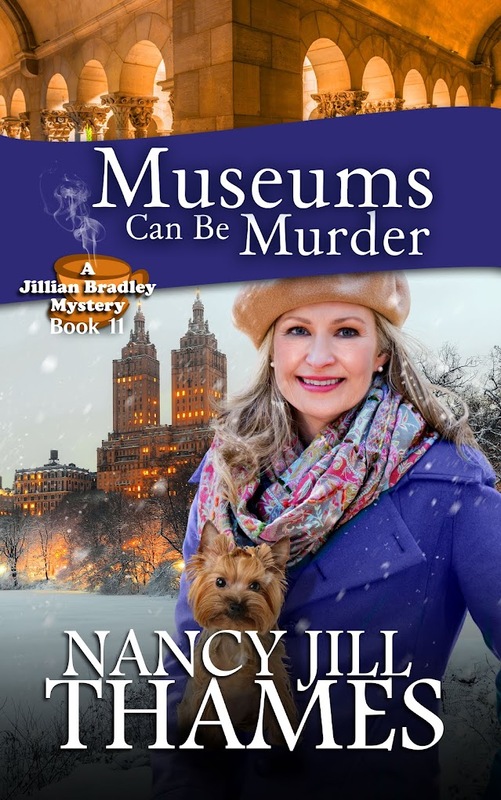 Maybe Jillian Bradley and Teddy will uncover a murder mystery at the lodge. Better finish my edits and get ready for dinner. Have a great weekend, ya'll. Signing off from Branson, Missouri. Mystery novelist Nancy Jill Thames has published Christian fiction since 2010. 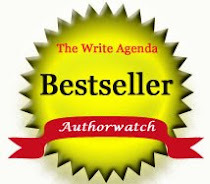 The author of seven books in the Jillian Bradley series, she is an award winning blogger and listed numerous times on the Author Watch Bestseller’s List. In addition, she won first place in her church's 4th of July celebration for her chocolate cream pie. When she isn’t plotting her next book, she spends time with her six grandchildren, tags along with her husband on business trips, and plays classical piano for her personal enjoyment. 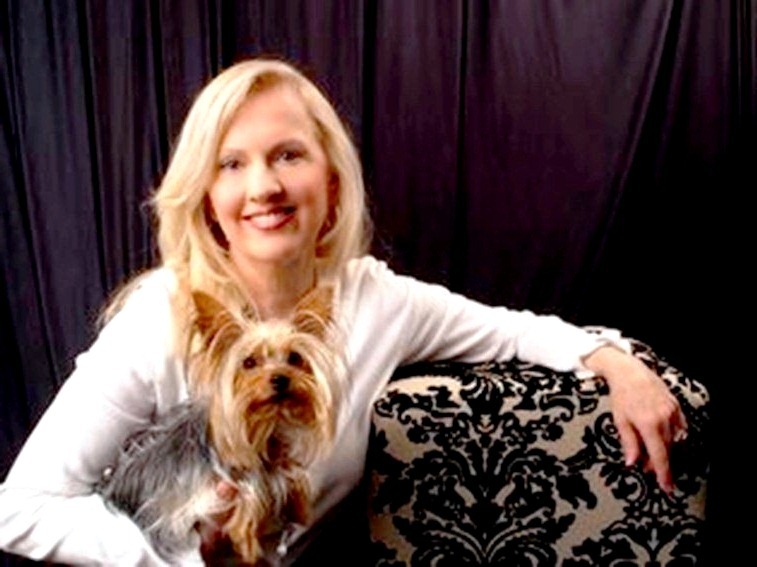 She is an active member of the Leander Writers' Guild, American Christian Fiction Writers (ACFW), CenTex Chapter ACFW, and supports the Central Texas SPCA with a portion of her book sales. She resides with her husband in Leander, Texas. 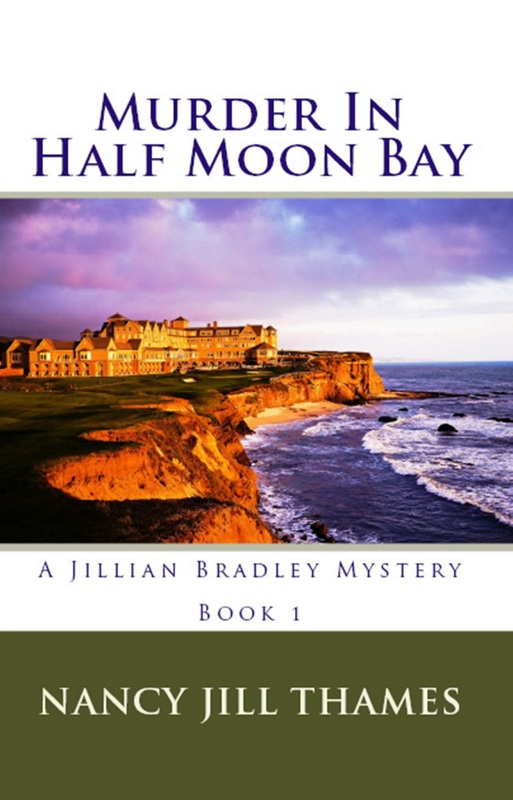 Enjoy Book 1 MURDER IN HALF MOON BAY on your ereader for free! Umm...can you feel it in the air? Fall. My favorite time of year when the days grow shorter and the nights grow longer, I drink more cups of tea and sit by the cozy fire everyday when the temperature outside allows, and I feel all warm and snug inside my lovely house. Until...things change and it may be time to take up residency with my mom who's almost 89 years old and lonely. What? Leave my Chippendale dining room and Queen Anne bedroom set? And what about my grand piano? Things change. People become more important in life than material possessions. My mom's sunset years should be happy ones. The good thing about transitioning into a new area of the country is life continues to be an adventure. As a positive person I can find good things about where ever I live. As a Christian I believe God has a wonderful plan for my life if I'll listen to His Spirit speak to my heart, telling me which way to go and then follow His leading. When I think of my situation I'm reminded that my character Jillian Bradley needs a new adventure in her life for Book 9. Who knows? Perhaps I'll find one along my own journey. Have you had to relocate recently? How did you react to your new situation? Enjoy a wonderful week full of adventure, my friends. 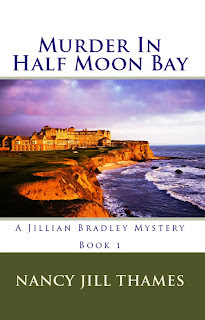 If you haven't read about Jillian's first adventure in Half Moon Bay you are welcome to read Book 1 "Murder in Half Moon Bay" for free on all ereader platforms. $3.99 on Kindle, Nook, Kobo and Smashwords. 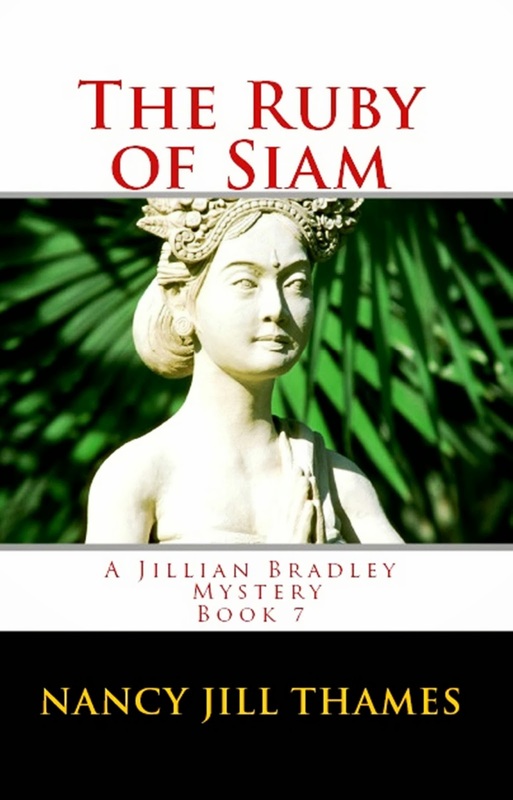 If you haven't purchased your copy of Book 7 "The Ruby of Siam" here are the reviews so far that may convince you to do so. I'm grateful for these readers who've taken the time to share their fondness for the series. If you've never left a review on Amazon don't worry. You're not alone. If you'd like to try your hand at one I'm providing the link. Amazon only requires you give the review a title and write at least 20 words. Yes, that's it! You can even edit the review if you make some bloopers! 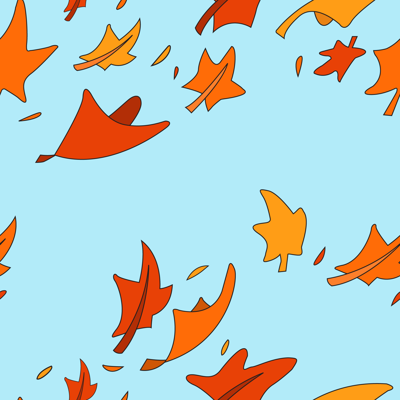 So take a look at these and if you'd like to join in by all means do! The link is at the end. This book was all I expected and more. Based in London this time, Jillian and Teddy get into all sorts of challenges starting from then they step off the plane. I won't say too much as I don't want to give the plot away. Well researched, well written, it was a riveting and enjoyable read. I went to bed early, curled up with my kindle and a glass of good wine, and let the family fend for themselves! My nose never came up until I had finished the story, I just couldn't put it down. So looking forward to the next book in the series! The Ruby of Siam was all I had hoped for and more! 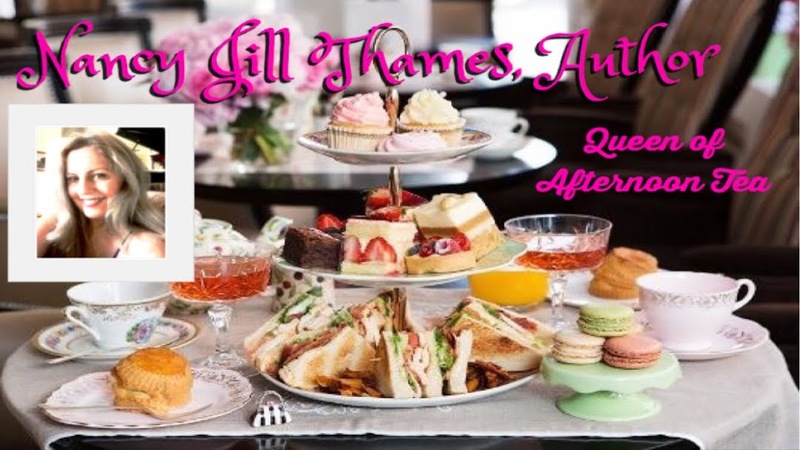 Your descriptive style of writing took me right along with Jillian on her trip to London! The details describing the hotel, the tea shoppes, the restaurants, the gardens, the parks, the clothes, the stores, etc. was excellent. And the mystery was intriguing....you kept me guessing. The romance was sweet and very real. Of course, Teddy is just the best! I am hooked on Jillian and Teddy. I get so excited for the next book in the series. I download it on my Kindle and read it without stopping. I read it a second time. I then order it in paperback for friends and myself. I read all the books from one to the last periodically also. This is intrigue with a dash of romance and lightness. As a literature teacher, it is a delight to take a break and be entertained by Jillian and her little dog. This book brought back memories of the places I love in London. Can't wait for book number 8. I am hooked, and as an avid reader, I recommend this one definitely. For those of you following Jillian's story, she is evolving as a character. We see a different side of her in this one. I won't give it away. Just click on the button that says Create Your Own Review and follow the simple instructions. Now you're on your way to becoming a reviewer! If you would like me to sign your ebooks please click the link.